I tend to shy away from cafés. In recent days, “café” has become the term used by some restaurants to plaster themselves with when they can’t think of a fitting category for the (dis)array of food they offer. Contrary to what it suggests—a coffee shop with an accompanying themed food menu—cafés are, most of the time, made up with a random lineup of dishes: a mix of whatever is trending or popular, resulting in everything coming out mediocre. 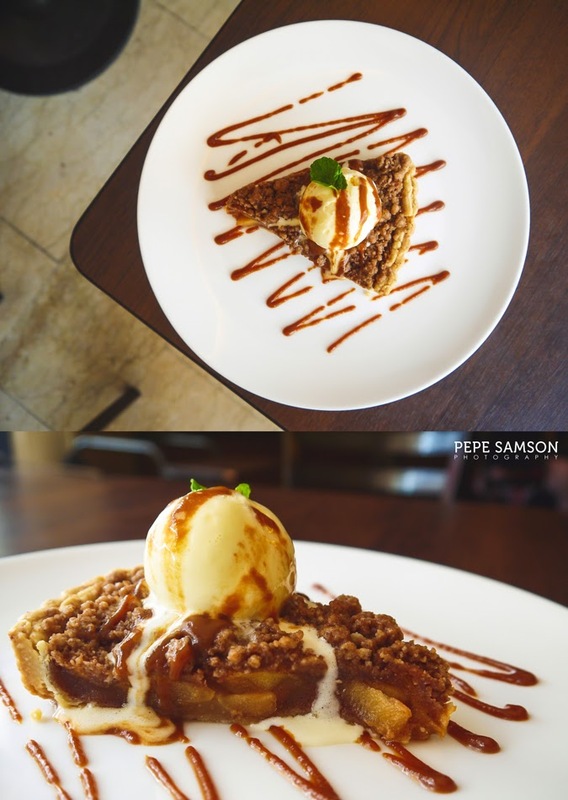 Rarely will you find a café with a menu so varied but still so faithful to classical renditions—Oliva Bistro Café is one of them. 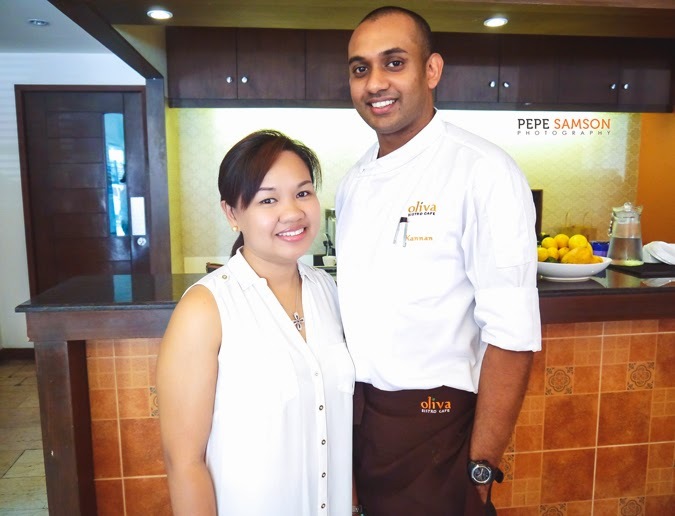 Helmed by Chef Kannan, an Indian chef who used to work in luxury hotels in Singapore, Oliva Bistro Café quietly opened its second branch late last year along Marcos Highway in Pasig City. 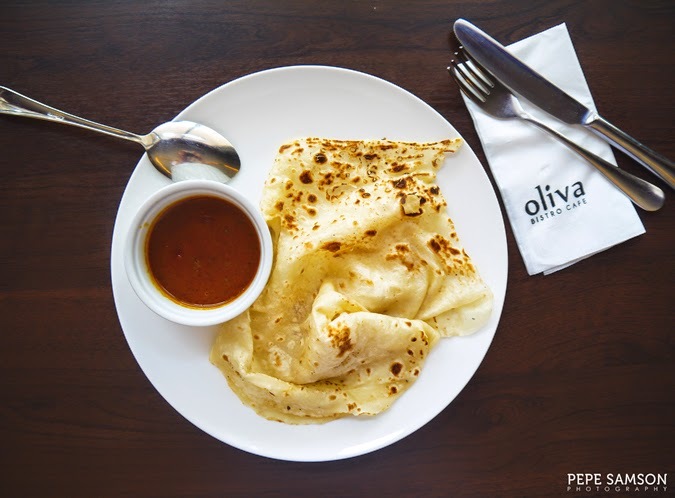 The café offers an extensive assortment of European, American, and Asian favorites, and owing to the chef’s experience with the eclectic mix of cuisines in Singapore, Oliva delivers dishes that are familiar, keeping high regard from where they originally came from. 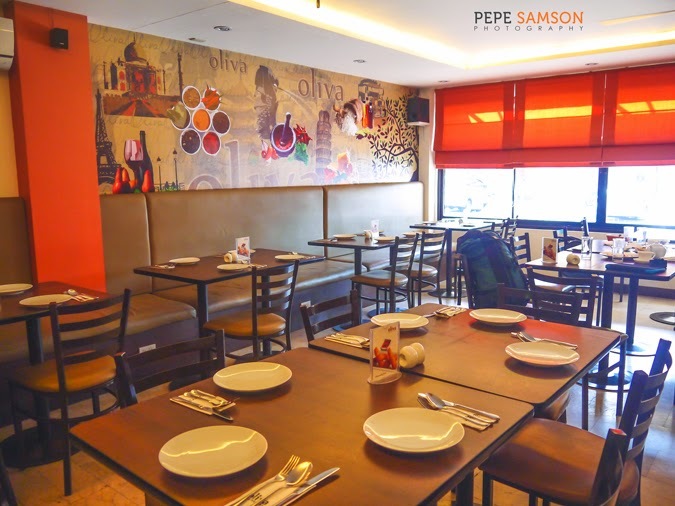 It took two years for Chef Kannan and his Pinay wife Denden to decide to expand, despite having gained a steady following in the original QC branch. 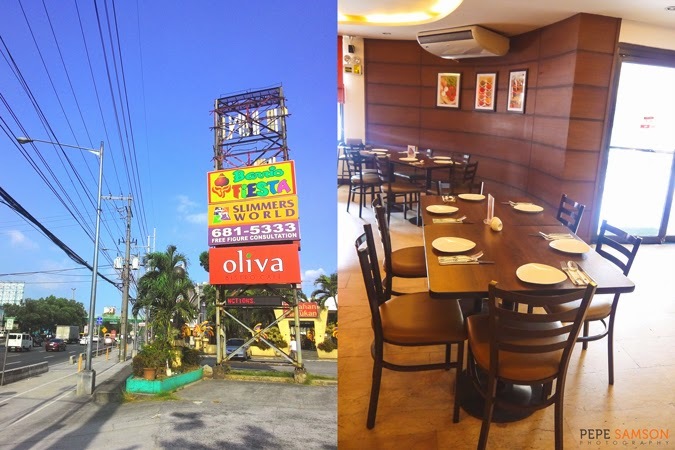 Regulars flock to Oliva not only for the delicious food but also for its affordability. Dishes come in a la carte or family-size portions (3-4 persons), so it’s best to visit with a big group for you to enjoy a variety—and I guarantee you, you would want to try many. The Roti Prata with Curry Sauce (PhP95)—if restaurants are wholly judged by its starters—can easily prove my point. Every bite of the chewy bread dipped in curry sauce brought me 5 years back to the time I was in Kerala, India. The sauce simply assails your taste buds like no other Asian cooking can—I could’ve sworn I was in our cafeteria in Trivandrum, chatting up with my Indian friends. If the regular sauce isn’t hot enough for you, you can request for the spicier one, like I did. 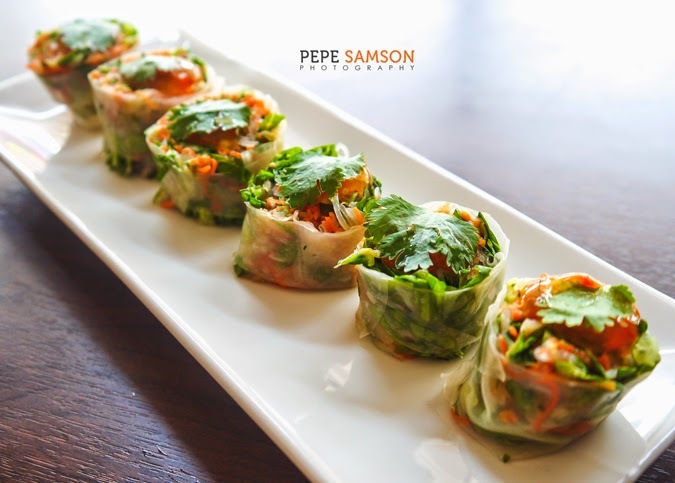 Fly a few hundred miles southeast with the Vietnamese Spring Rolls (PhP160)—freshly-made vegetable and vermicelli noodle rolls in a light wrapper, topped with sweet chili sauce. Each piece is bite-sized: perfect for popping it whole into your mouth and just letting the flavors consume every corner of your mouth. I have no doubts why this is one of their bestsellers. The Chef’s Wife Salad (PhP215) is Kannan’s tribute to the love of his life: a salad made of romaine, ripe mangoes, grapes, candied walnuts, croutons, and dill dressing. I loved the fact that the ingredients were a combination of softness, sweetness and surprising textures. The dressing was light but flavorful—not overpowering like other salads, which are coated as if they were soup. This salad gives you a glimpse of why the chef fell for this Filipina. I liked the Butter Chicken Masala (PhP250), a dish made of cubed chicken breasts in a light tomato and butter sauce. It smelled as beautiful as it looked; however, we were able to try only the mild version. Having been to India, I longed to taste stronger spices. The thing is, Chef Kannan has toned down some of his Indian offerings to adapt to the Filipino palate. Here’s a tip for you: if you want it powerful, let chef know and he will gladly whip up something spicier for you. 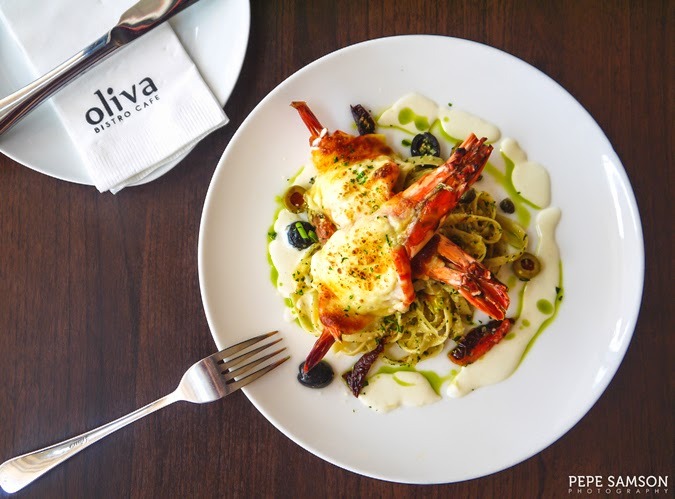 If you like pasta and seafood, order the addictive Baked Tiger Prawns with Pasta Oliva (PhP375). The prawns, stuffed with cheese and garlic cream, were light and exquisite. Underneath the orange beauties is their signature oil-based pasta with garlic, olives, capers, and sundried tomatoes. I love simple pasta dishes that scream with flavor! The next time I swing by Oliva, I’m definitely getting this again. 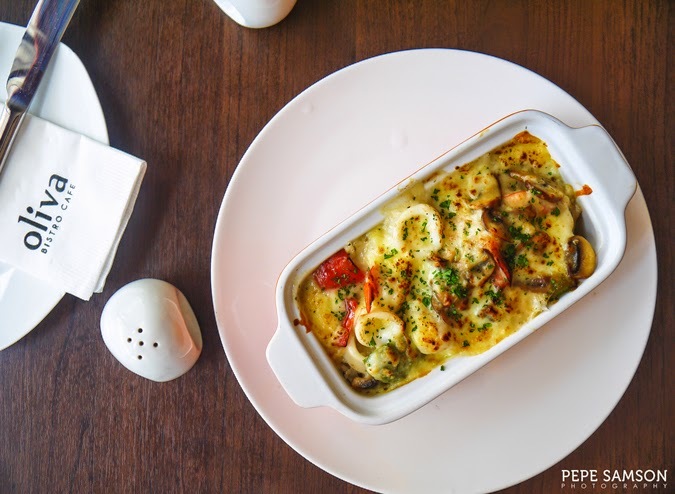 Rice lovers can spruce up their dining with the Baked Seafood Rice (PhP265): shrimps and calamari tossed with red bell pepper and mushrooms in a creamy cheese sauce, served atop steamed rice. Creamy dishes usually turn me off because a few spoonfuls quickly make me sick of the rich taste, but Chef Kannan is a master of balance. 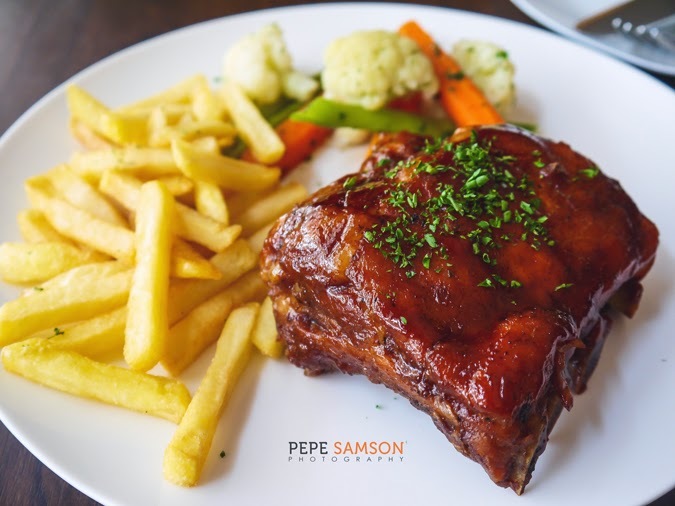 The same skill is demonstrated by the Baby Back Ribs (PhP425), a slab of sweetish, tender pork ribs served with steamed vegetables and a choice between fries or parsley rice. This one was delicious, but to tell you the truth, with my fixation with the other dishes, I almost didn’t touch it. I’m extremely picky with desserts—I find most restaurants’ selections uninspired (read: red velvet everything)—but Oliva’s French Apple Pie ala Mode (PhP145) is something I immensely enjoyed. It wasn’t exactly unique, but it was well-executed. The not-too-sickly-sweet apple pie is served warm and freshly baked, creating a delightful contrast with the cold vanilla ice cream. 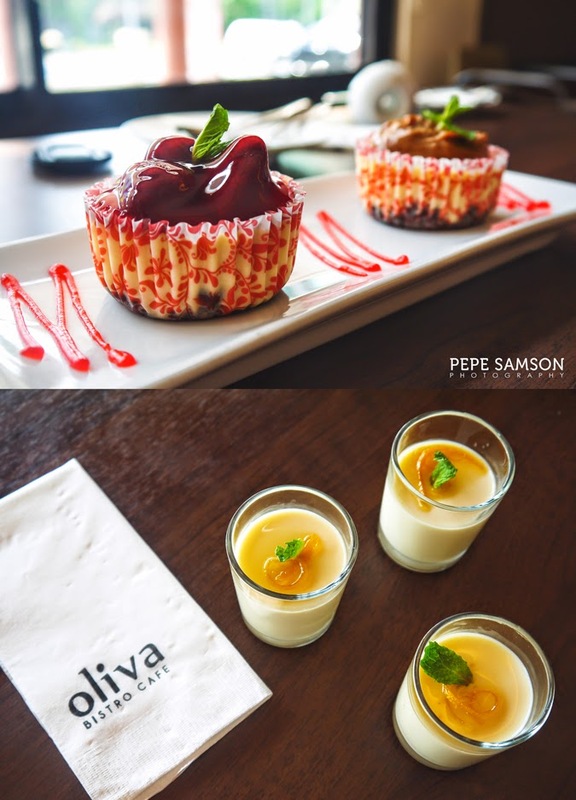 If you like cheesecakes, Oliva serves strawberry- and salted caramel-topped ones (PhP130 for 2 pieces). These two were good but I prefer my cheesecakes with more tartness. Their Vanilla Panna Cotta (PhP100) though is a must-order: creamy vanilla with honey and candied orange peel that gives this dessert a slightly citrusy taste. It’s just me, I like acidic desserts. 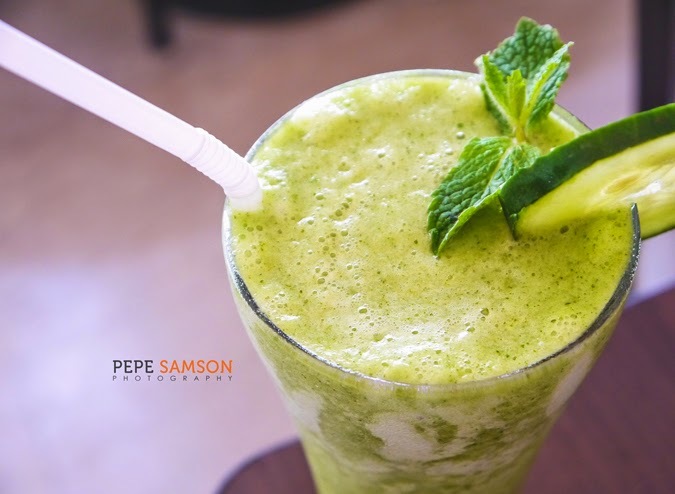 For drinks, Oliva offers fresh juices, soda, coffee, and local beers, but I highly recommend trying the refreshing Cucumber Mint Cooler (PhP95) and the comforting Hot Indian Milk Tea (PhP220 pot/PhP80 cup). I swear, these two were reallllyyyyyy good. 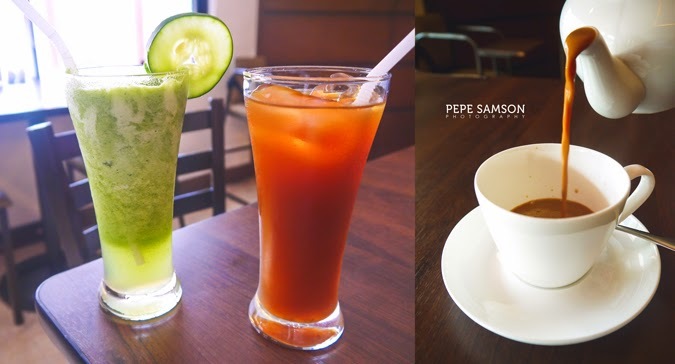 If you like iced tea, Chef Kannan brews his own and it’s a pretty good choice as well. 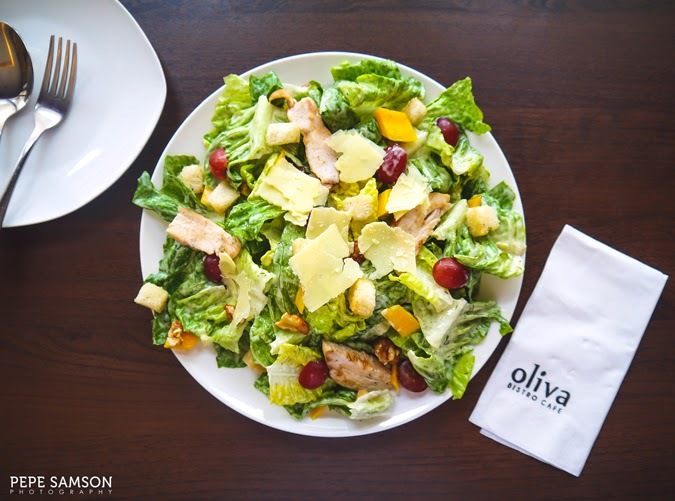 If you’re out with family or friends and can’t decide on one type of cuisine, head over to Oliva Bistro Café to sample a variety of comfort food done right. 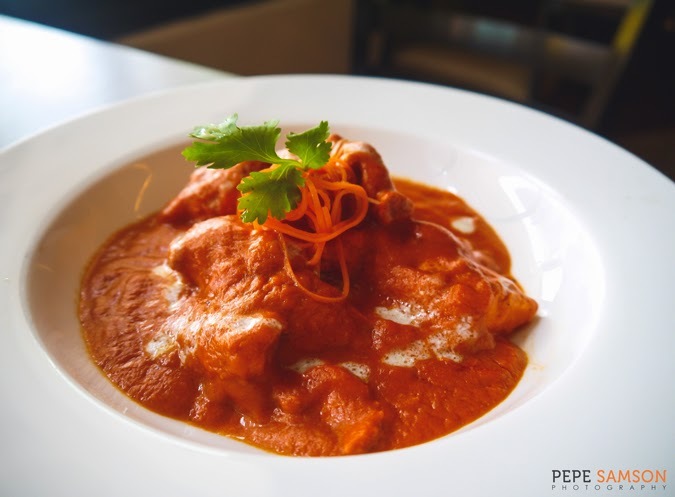 I recommend trying the Indian food, for you to experience what Chef Kannan is best at and is proud of, but if you’re uncomfortable with this cuisine, his Italian, Asian, and American dishes are pretty remarkable too. As for me, I plan to transport myself back to Kerala by driving over to Marcos Highway again. 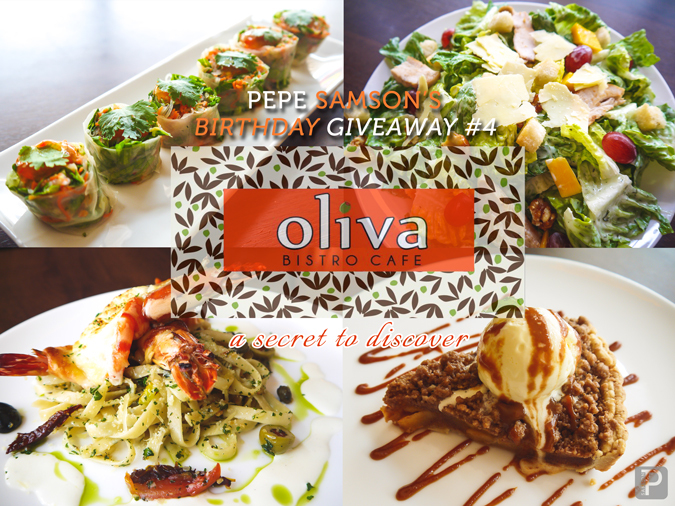 Share this post on Facebook with the hashtags #PepesBirthdayGiveaway and #OlivaBistroCafe. Tell us about your favorite comfort food in the comments/Disqus section below. Like Oliva Bistro Cafe on Facebook. Anyone living in Metro Manila. Anyone who has completed ALL 3 steps above. 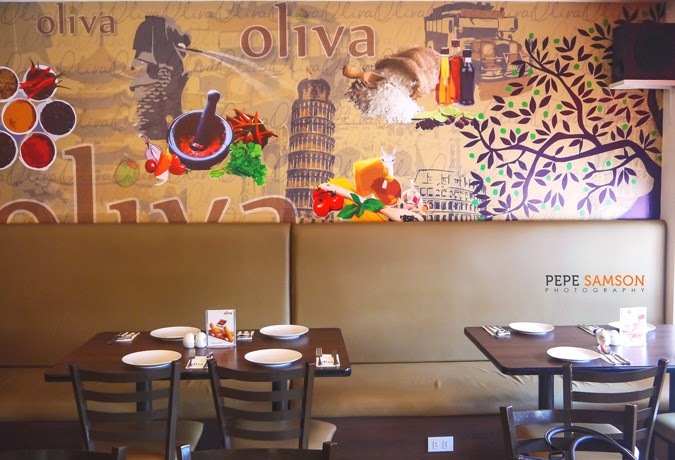 GCs are redeemable at Oliva Bistro Cafe - Marcos Highway branch only. You will be privately contacted for details on how to claim your GCs. Congratulations and thanks for joining! 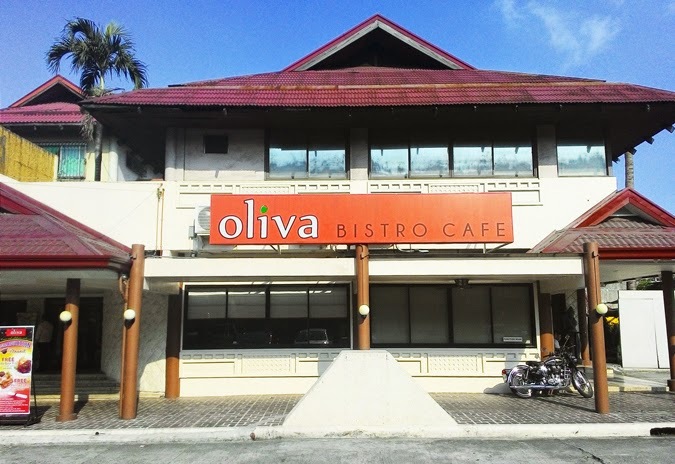 Have you tried Oliva Bistro Cafe? What's your favorite dish? Do you love Indian food? Share your thoughts in the comments section! My meal was sponsored by Oliva Bistro Cafe. All opinions, however, are my own. You're welcome! Thanks for dropping by! i love anything baked with cheese hehe. Definitely will try the baked seafood rice pepe! Classic comfort food is dark chocolate!